The Division of Child Protection and Permanency (known as “DCP&P) was formerly known as the Division of Youth and Family Services (“DYFS”) and deal with any and all allegations of child abuse and/or neglect in the State of New Jersey. Our seasoned DYFS defense lawyers are available immediately to assist you at (908)-356-6900 to handle these serious legal issues. In fact, one of our attorneys, Brent DiMarco, has literally handled hundreds of DCP&P cases while he worked for two of the largest DCP&P defense firms in the State of NJ. 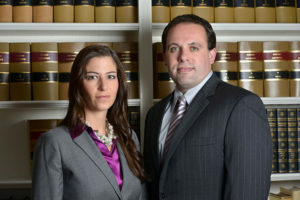 In addition, another attorney at the firm is a former Morris County Prosecutor who prosecuted criminal cases related to child abuse including Title 9 offenses and Endangering the Welfare of a Child. Now, let our team work for you. Protecting your rights, reputation, and, most importantly, your family are our top priorities. Contact the Tormey Law Firm today. In addition, the firm’s managing partner, Travis Tormey, has a perfect 10.0 client rating on AVVO.com, an attorney rating service. He has also received the client’s choice award for four straight years (2013, 2014, 2015, 2016). Here are some of the things our clients have to say about the Tormey Law Firm LLC (all available on AVVO.com, click here). If you or a loved one are in need of legal assistance, contact the Tormey Law Firm today at (908)-356-6900.